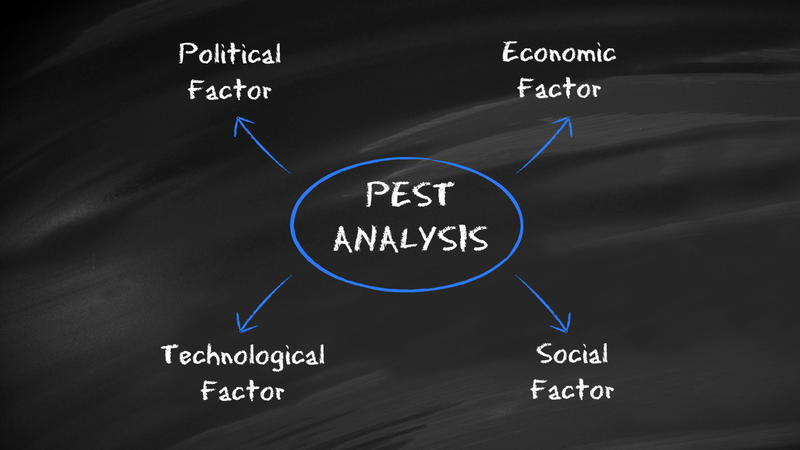 The PEST analysis (Political, Economic, Social and Technological Analysis) is a tool to analyze the market situation and originates in the field of strategic management. 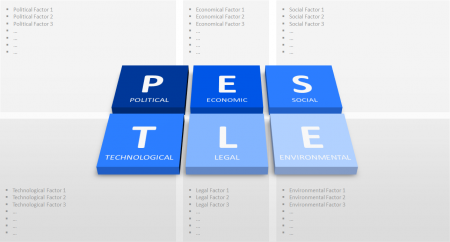 As the term implies, the concerned factors include the political, economic, social and technological situation of the market which is examined. 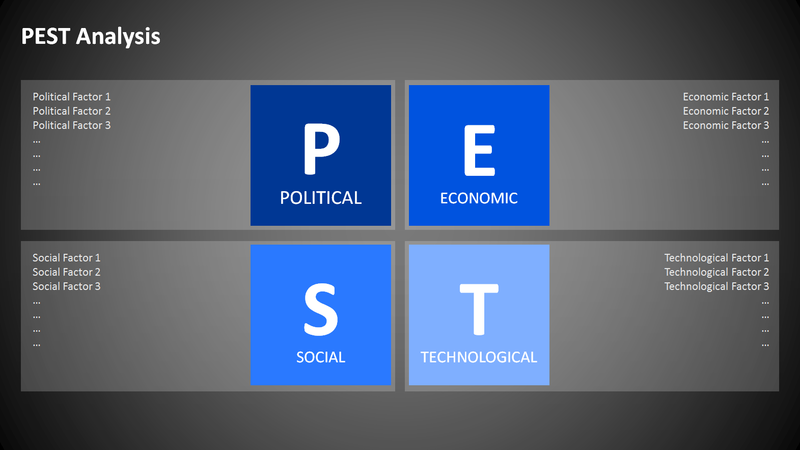 The PEST analysis is a perfect foundation to navigate successful procedures and to eliminate counterproductive influences. Furthermore, this model has been also extended in various forms: there is, for instance, the STEEP analysis, which includes the environmental factor, or the PESTLE analysis, which adds the aspect of the legal situation. The PEST PowerPoint template in our online shop will help you to present your PEST analysis results well-structured and comprehensively. To choose the perfect template, visit our online shop. This pre-designed PowerPoint presentation includes a collection of high-quality design templates to support you with various ideas how to illustrate and present your outcome. Combine different elements and adjust them in shape, color and size according to your preferences. Insert PEST results where pre-formatted text place holders are. Font and font size are optional and can be customized. To display a comprehensible and professional presentation, you will be provided with much space to expose all macroeconomic factors and their interdependences. 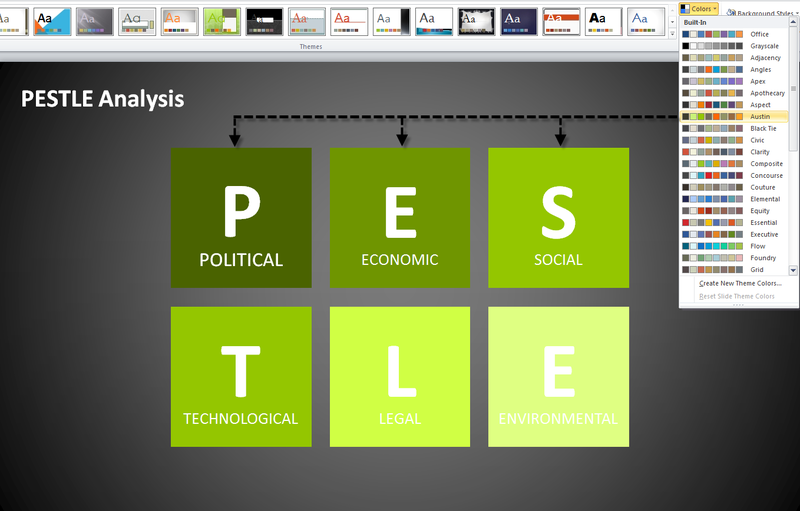 The presentation set is linked to the PowerPoint color palette and enables you to edit the presentation easily. If you use the PowerPoint color palette or create your own personal color palette, will be your choice. This device endows you to adjust the presentation to the corporate design of your company and any changes of certain elements will be adapted to the rest of the presentation. 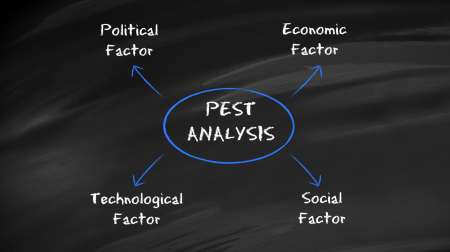 The presentation set includes numerous examples to create a sophisticated presentation showing PEST, STEEP or PESTLE analysis results. 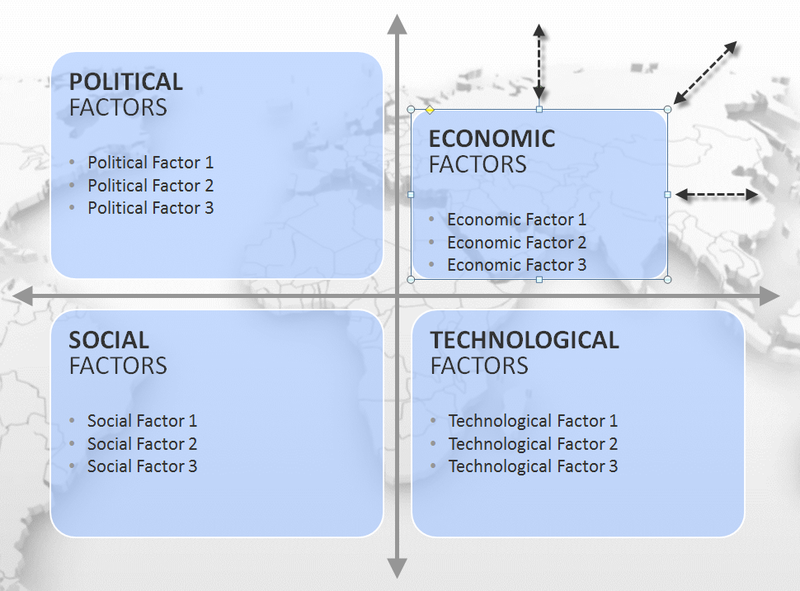 Single factors can be displayed on separate slides or presented in a survey observing multiple aspects.